Keeping wildlife as pets is banned, but Vermont decides 3-year-old Peep is probably better off staying put. MIDDLESEX, Vt. — State game officials have backed down and allowed a woman to keep a 3-year-old wood duck that was brought home by one of her dogs when it was a chick. 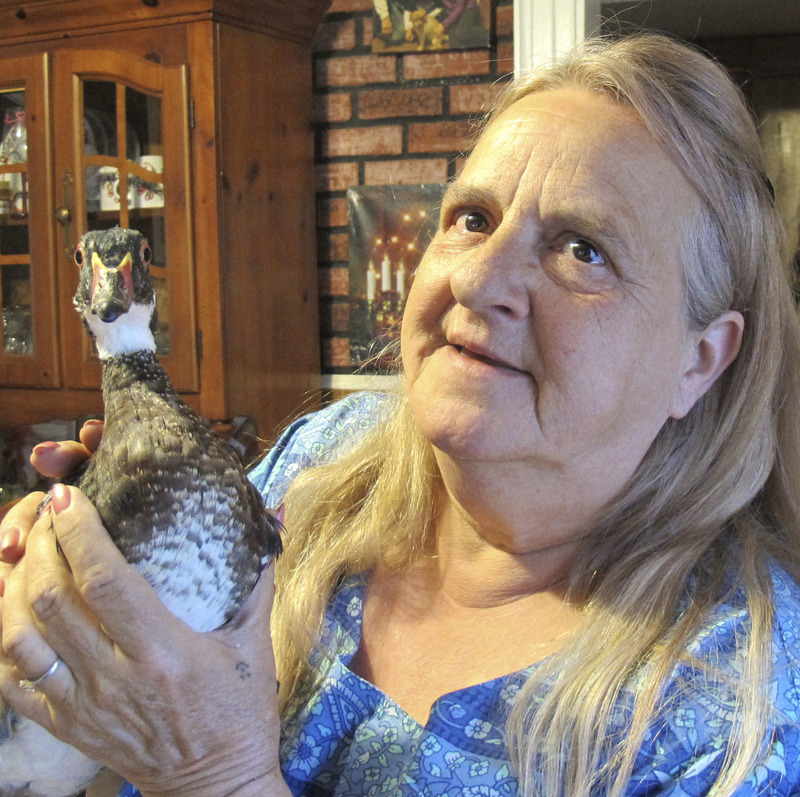 Earlier this year, a game warden arrived at Kimberlee Stevens’ home in Middlesex to take the duck named Peep. When Stevens refused to hand the animal over, the warden promised to return with a search warrant. On Friday, the state Fish and Wildlife Department relented and issued a permit allowing the family to keep the bird. Stevens said one of her dogs brought home the chick in late May 2013. They looked for a nest and its mother, but couldn’t find any hint of where it came from. Now, Peep lives inside Stevens’ farmhouse, roams the house alongside her five dogs and seven cats, sleeps next to her bed and has its own Facebook page. In good weather, it goes outside. Despite its role as a family pet, Peep is not house-trained. “He poops all over. I just keep my bucket full of bleach water, we just go behind him,” she said. Vermont Fish and Wildlife Commissioner Louis Porter said Monday that private citizens aren’t allowed to keep wildlife as pets, because it can be dangerous for both people and critters.